Sympathy flowers are a great way to show support to a family that is grieving the loss of a loved one. As Dr. Alan Wolfelt tells us, symbols such as flowers convey love, facilitate expression, provide meaning, and communicate emotions that words fail to capture. 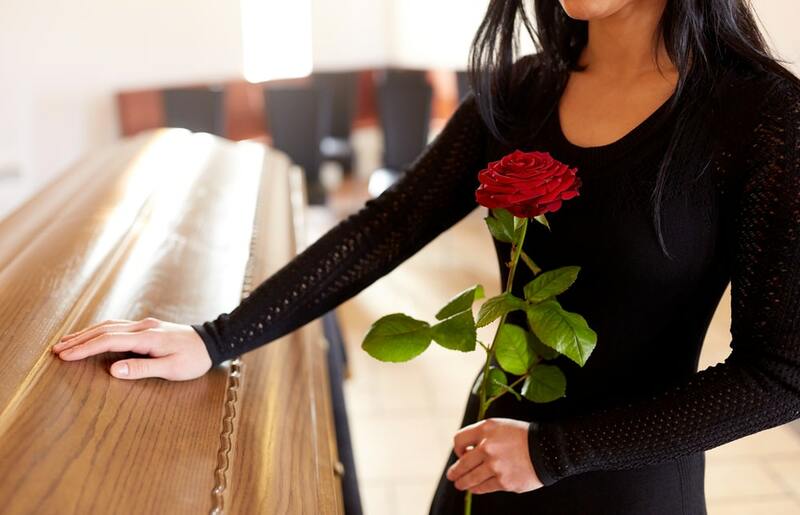 Funeral flowers are symbolic of certain emotions, and while the general message of a sympathy flower will be understood in any context, individual types of flowers can communicate slightly different meanings. 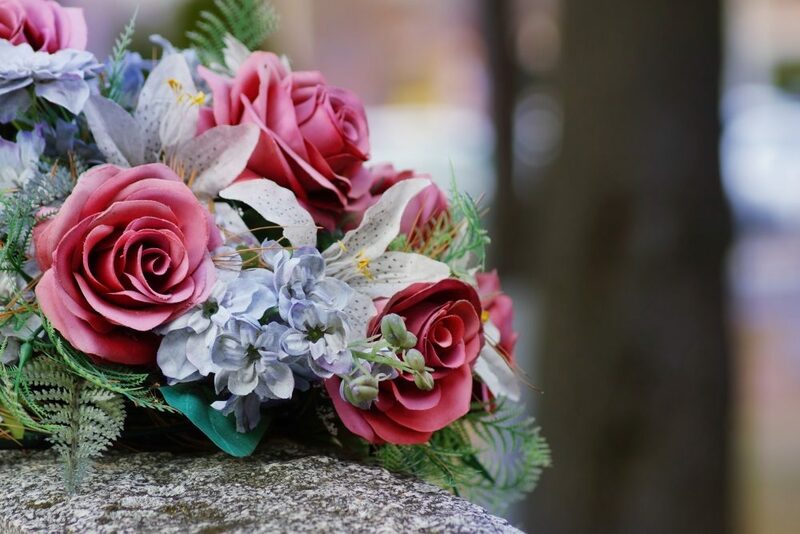 For this reason, we’ve decided to explore the meanings of seven of the most popular types of funeral flowers. Lily: This lovely flower usually blooms in summer, and is often interpreted as a symbol of renewal and rebirth. The lily can be a powerful symbol of the spirit of a loved one that offers hope and encouragement to a grieving family. The idea of rebirth and renewal is particularly applicable to faith-based services. 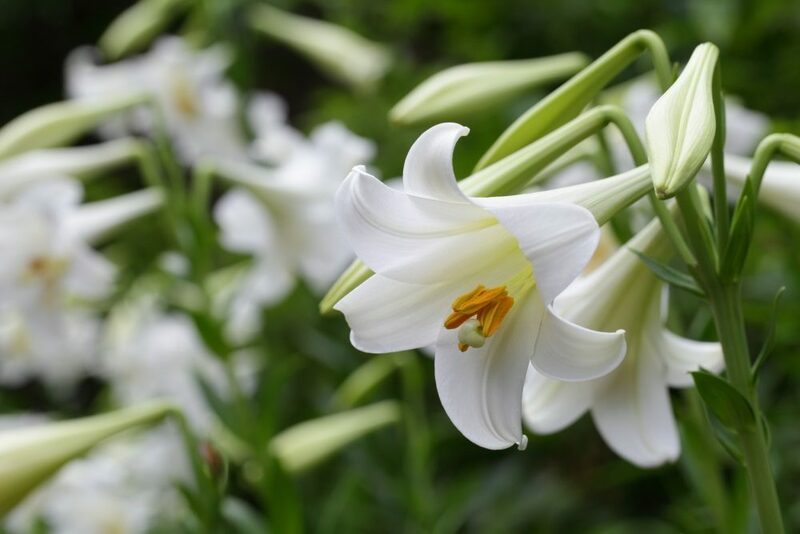 The white color of the lily also carries associations with purity and youth, making it a good choice for the funeral of someone who has died young. Rose: This enormously popular flower has very different meanings associated with different colors. 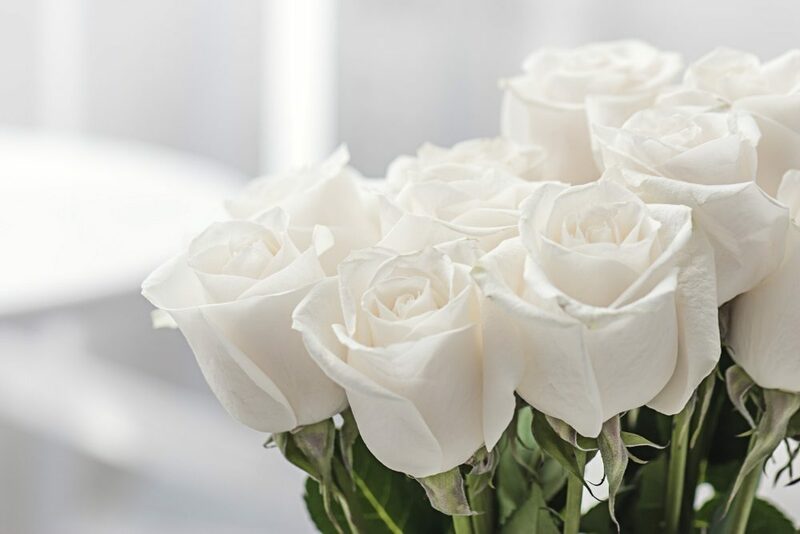 Like the lily, white roses tend to represent purity and innocence. Peach roses represent sincerity and gratitude, and can be given to a family whose loved one has blessed your life. Pink roses also indicate gratitude. The yellow rose is a symbol of friendship that expresses your support. All of these colors of roses make great sympathy gifts for a grieving family. Carnation: The carnation is a symbol of love. Some people believe that the word “carnation” came from “incarnation,” the Latin word that refers to God in the flesh. With this in mind, a carnation could be given as a gift to a family to honor a life that reflected the spirit of Christ. 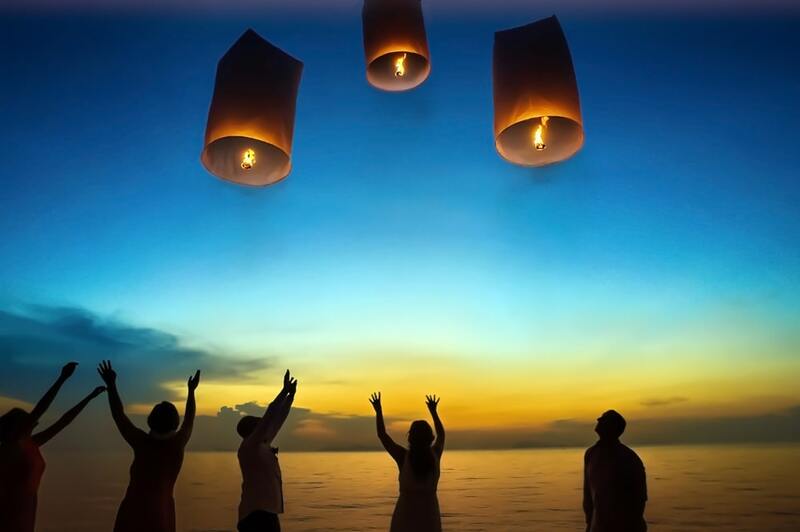 More generally, it can be used to express love for the family or for the loved one who has passed. 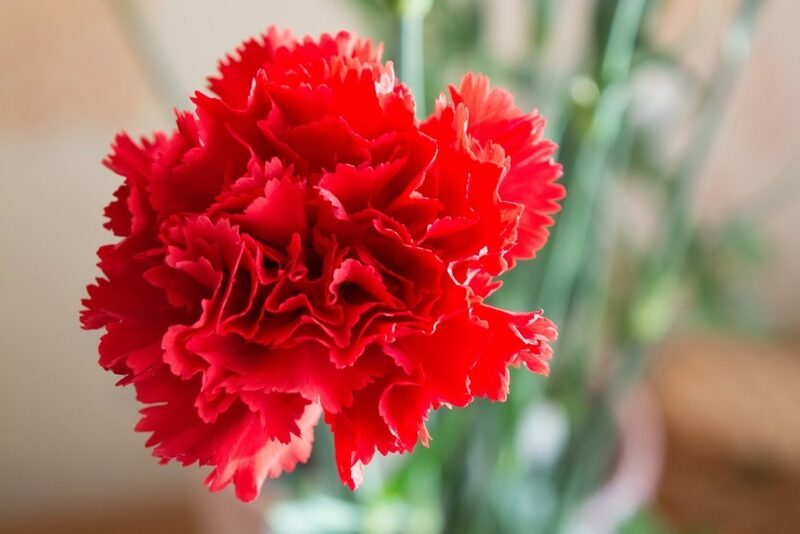 And since the carnation is the traditional flower of Mother’s Day, it can be a great choice to honor the life of a person who was a great mother to her children. Hyacinth: The purple hyacinth is a popular symbol of sorrow and regret. For a funeral setting, this expression is certainly appropriate. Sometimes, a simple acknowledgement of the family’s grief is enough. Instead of attempting to comfort the family with clichés such as “Keep your head up,” and “God wouldn’t give you anything more than you can bear,” allow yourself to accept the reality of their grief, and communicate your sympathy. Let them know that you are aware of their suffering and that you care. 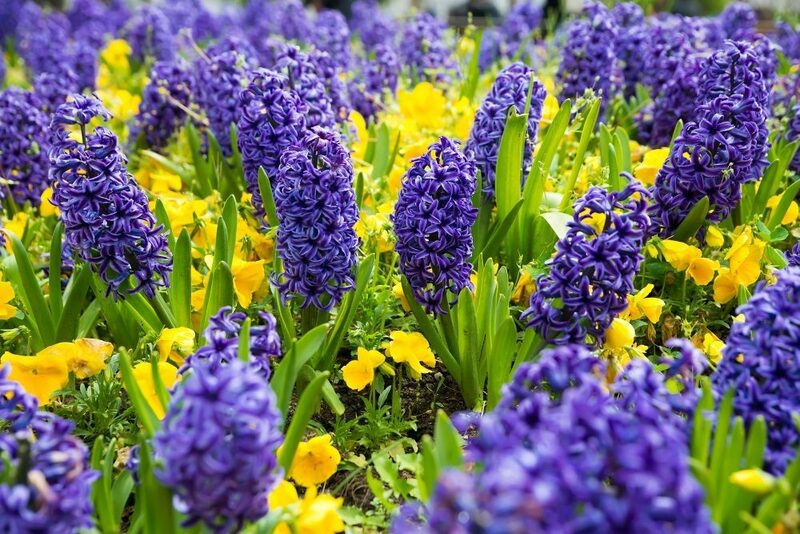 The purple hyacinth can communicate the pain that you feel upon hearing of their loss, and this simple sentiment is often just what the family needs. 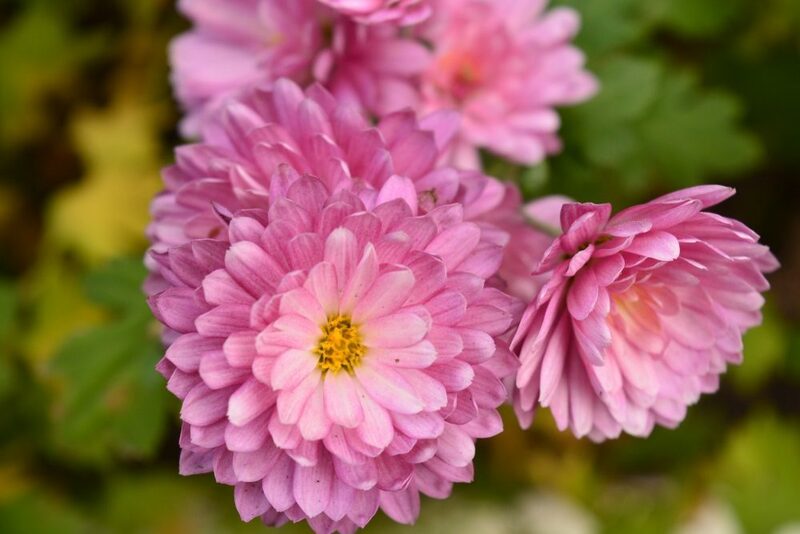 Chrysanthemum: In America, this gorgeous flower has many meanings, but it is often used as an expression of support or an encouragement to “get well soon.” In many countries in Europe, the chrysanthemum is placed on graves and viewed as a symbol of death. Fusing the more positive American associations with the European emphasis on mourning, we find a perfect balance that applies to an end-of-life ceremony. A symbol of death and mourning, but also support and encouragement, the gift of the chrysanthemum is well-suited to a funeral setting. 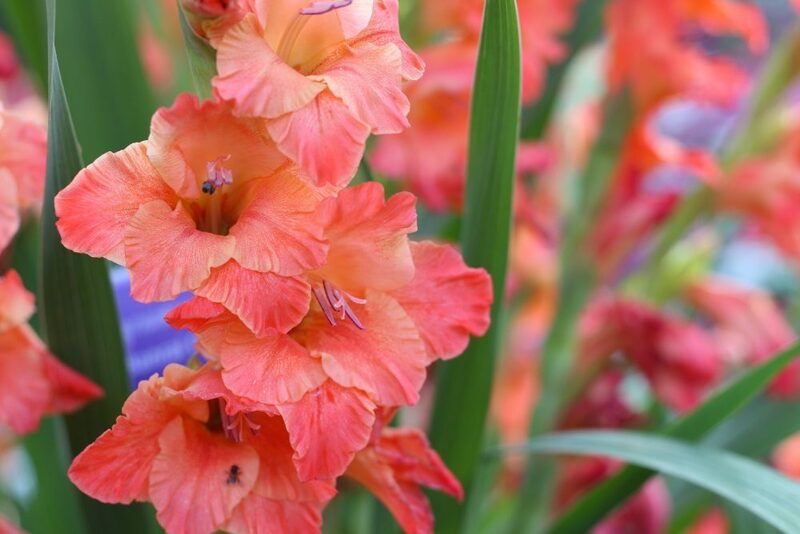 Gladiolus: The gladiolus is a beautiful representation of strength and character. By giving a grieving family this flower, you essentially remind them what wonderful people they are and encourage them to persevere on their grief journey. As a sympathy gift, the gladiolus does not ignore the pain of loss, and it effectively communicates your compassion in a difficult time. But it is also an uplifting reminder of their strength and of the strength of their loved one, which motivates them as they enter into a difficult chapter of their lives. 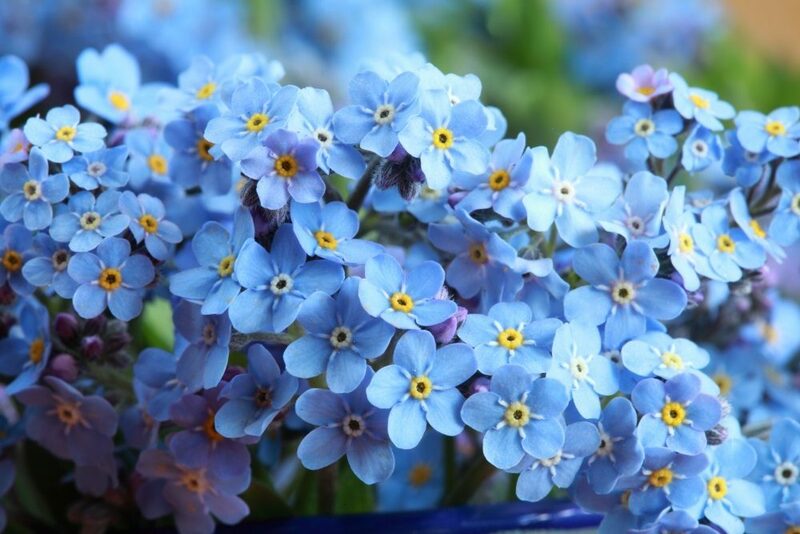 Forget-Me-Not: The meaning of this flower shouldn’t be too difficult to decipher. An emblem of remembrance, the forget-me-not communicates this simple but essential message to a family: your loved one lives on in our memories. 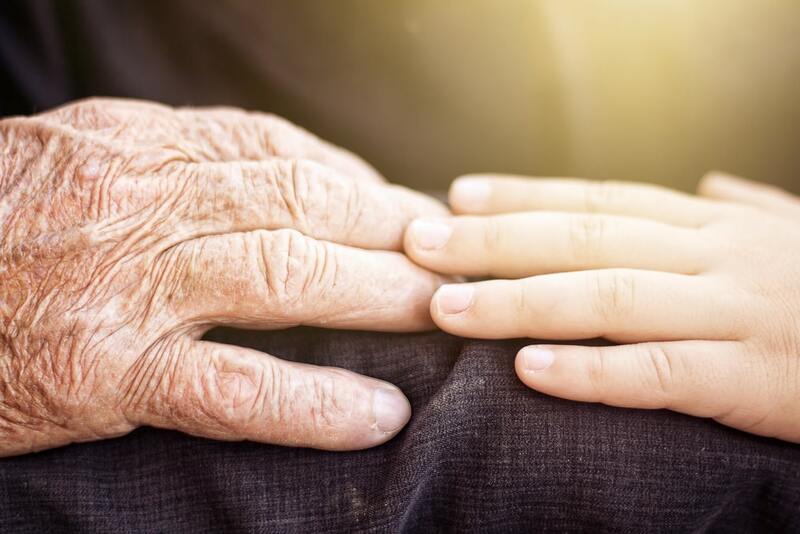 We tend to shy away from painful emotions, and for this reason, we often avoid the topic of a loved one’s death with the intention of sparing the family additional discomfort. We stay silent because we don’t want to remind the family of the loss of their loved one. While this approach is well-intended, it’s often unhelpful. Tell stories, share memories, and talk about the positive attributes of the loved one. Remind the family that their loved one has impacted the lives of others. As Dr. Alan Wolfelt says, we have to go backward before we can go forward, and remembering is a great way to take a healthy step back.